One of these really busy weekend days, we needed lunch but didn’t want to spend money but couldn’t FATHOM cooking something extra in our already messy kitchen. 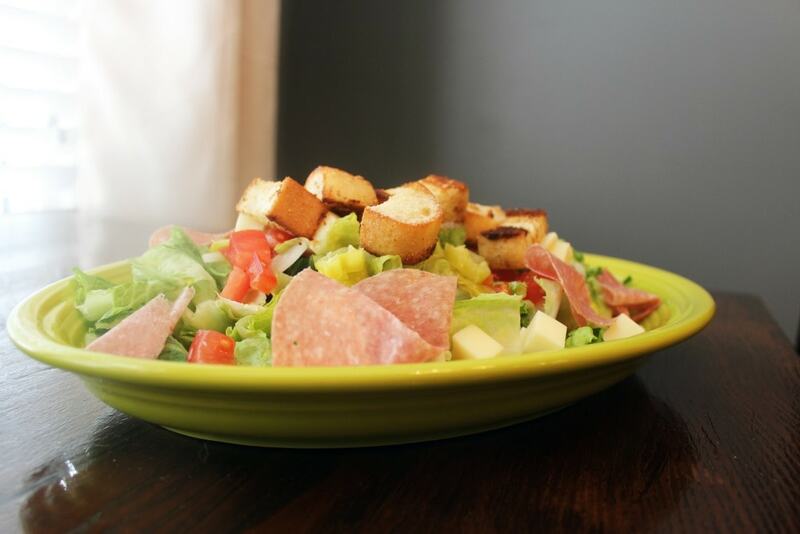 ENTER…..antipasto salad! Flavorful, crunchy, healthy but kind of decadent due to cheese and croutons….it was a perfect lunch, and you need to add this to your repertoire of things you love to make. You will, promise. 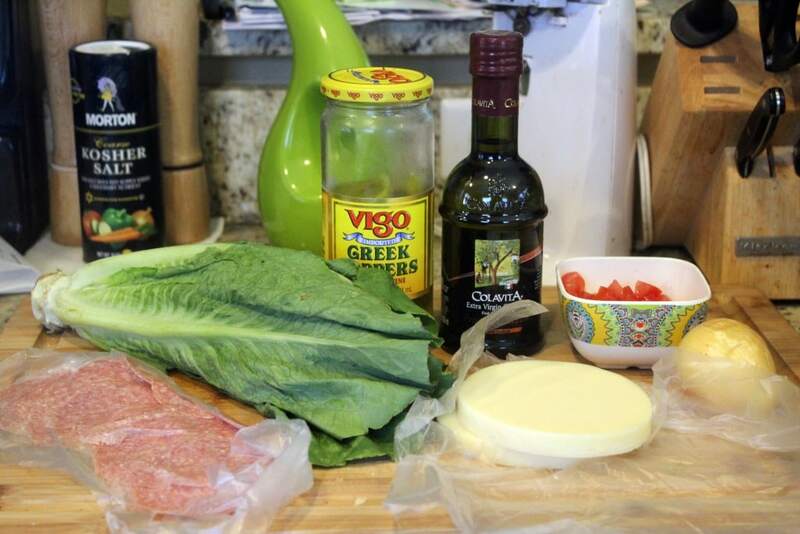 For the salad, you need lettuce (I love romaine or iceberg – something crunchy), salami, provolone, chopped tomato, onion, olive oil, and pepperoncini peppers. OF COURSE you can add or take away anything you like, but I think this combination is really nice. I don’t use dressing either – salt and pepper with a tiny drizzle of the pepper juice do it for me! 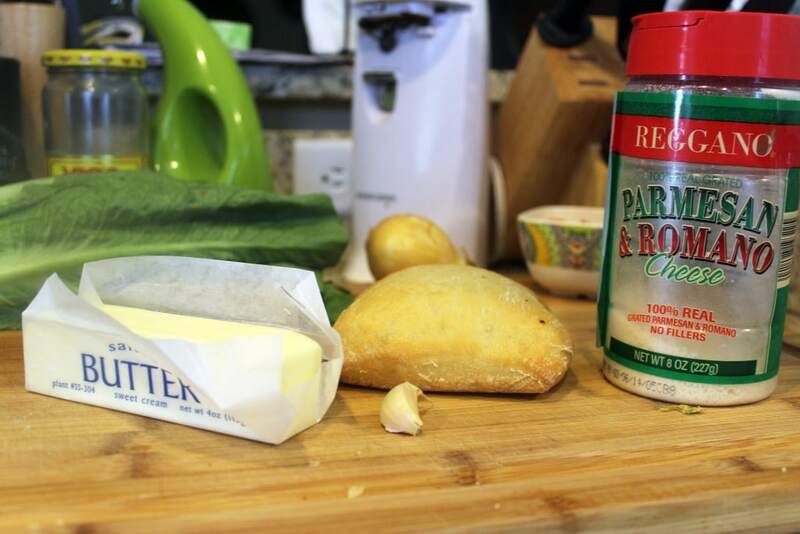 For the croutons, you’ll need bread (ciabatta is great, but use ANYTHING), butter, garlic, and parmesan. That’s it! 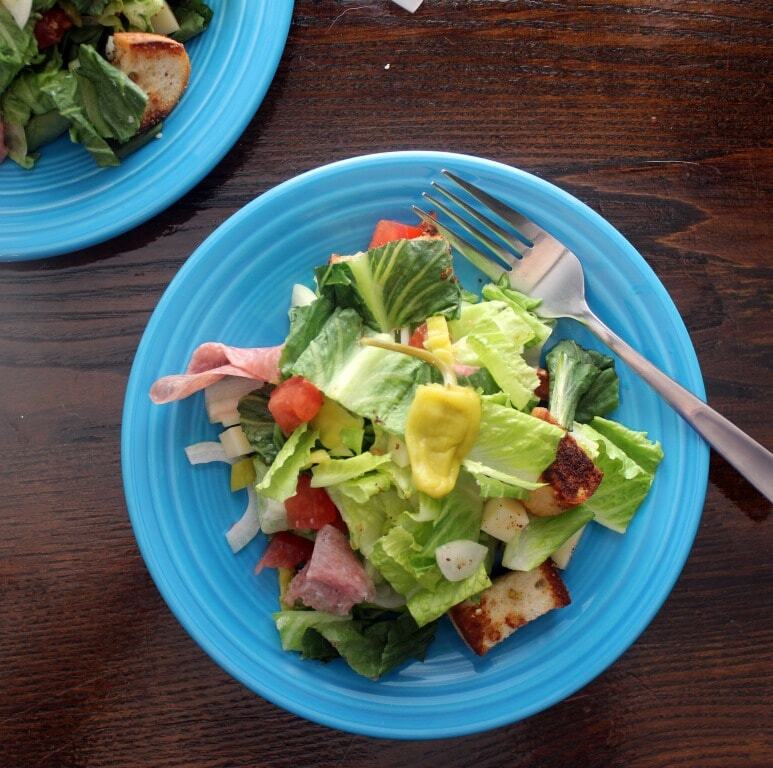 Now, if you’re making this all at once you’ll start the croutons, assemble the salad, finish the croutons, then eat. BUT, you can make the croutons a day or two in advance and keep them on hand for salads, so I’m going to show you the croutons THEN the salad. Just know that you can do both processes simultaneously. Croutons first! 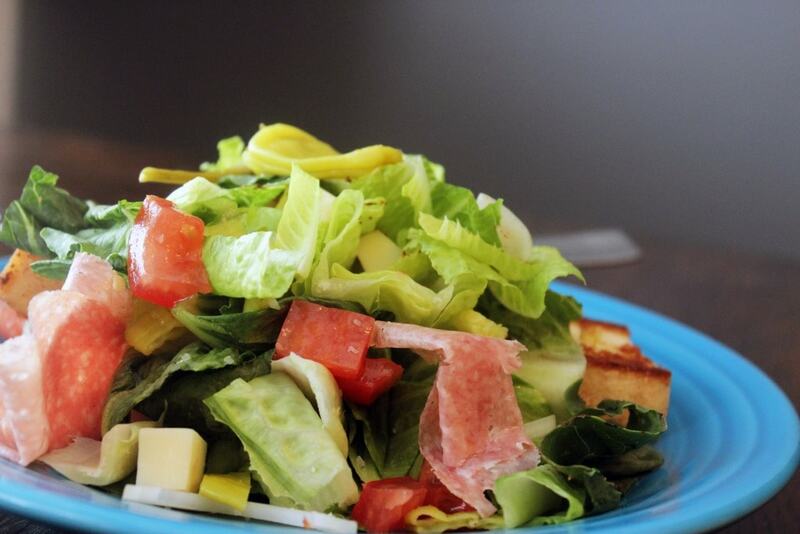 For whatever bread you’re using, 1/2 large slice of bread is usually good for 1 portion of salad. 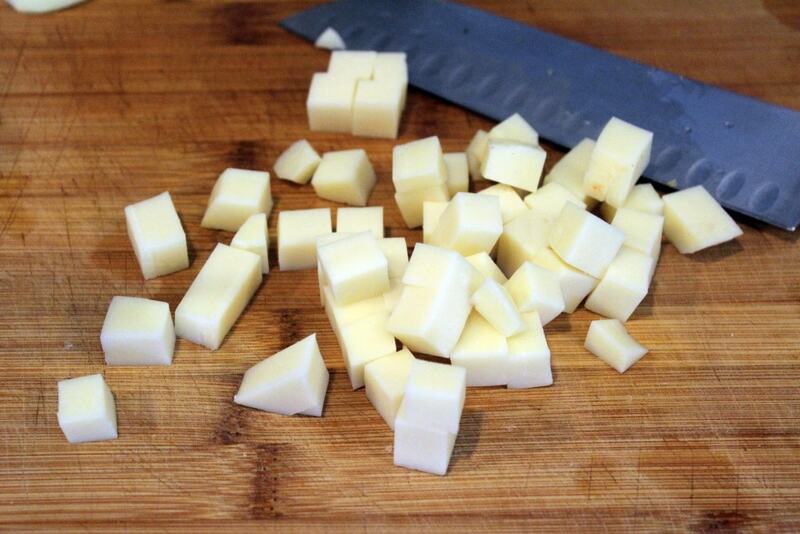 Cut it gently into big cubes. Then, add the bread and butter to a skillet over medium heat. Swirl the butter to coat all the bread, then let the croutons toast gently for 5 – 10 minutes (depending on the heat of your stove) until the edges are toasty but the inside of the bread is still slightly squishy. 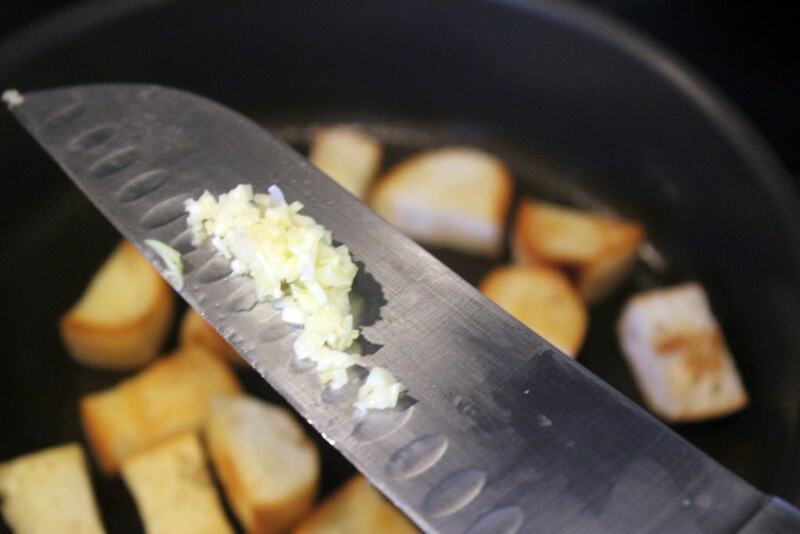 When the croutons are toasty, finely mince the garlic clove. Add the garlic and parmesan to the pan, and turn the heat up to medium-high. Toss the croutons around until the garlic and parmesan stick to the bread, and YAY. Croutons. Very delicious croutons. Now, onto the salad! 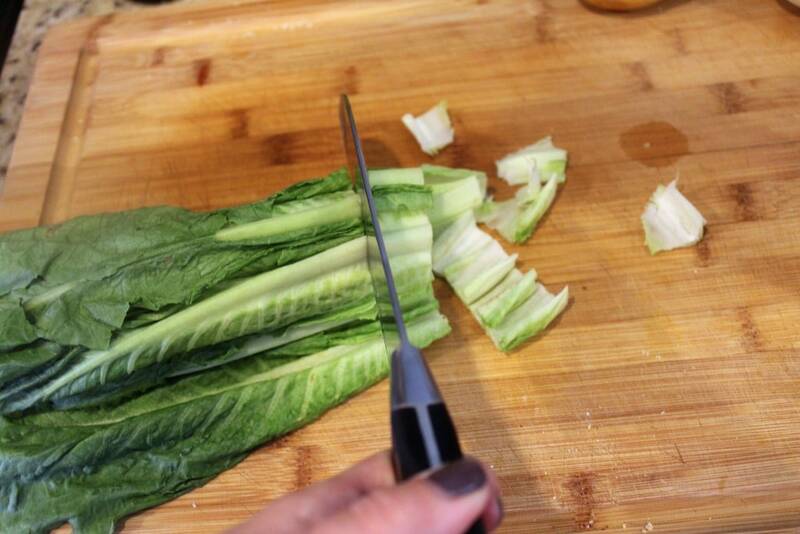 First, chop or tear the lettuce into chunks…..
…and arrange it on a serving platter, or small plates if you’re making individual salad servings. Then, slice the onion and chop the tomato, and add that to the platter. Now, thinly slice the peppers, and add them to the salad as well. 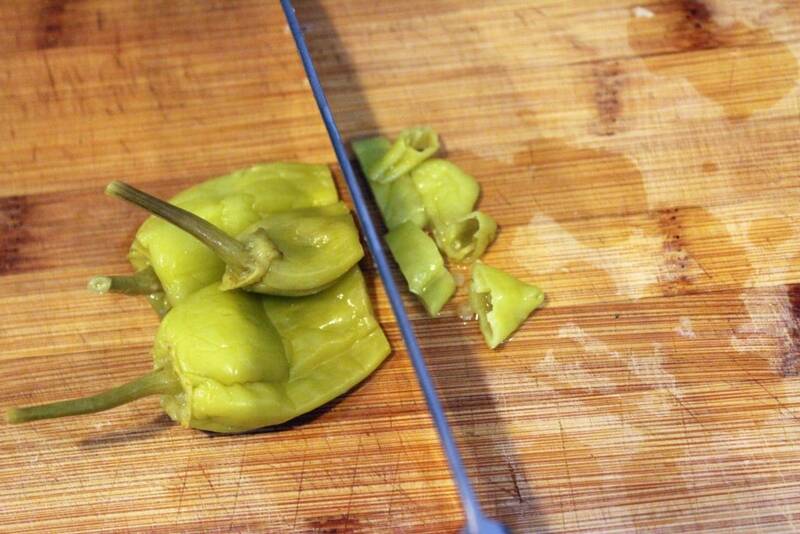 If you don’t like super spicy stuff, pickled banana pepper rings are great for this salad – I love pepperoncini, though! Over all the veggies, drizzle olive oil and sprinkle salt and pepper. 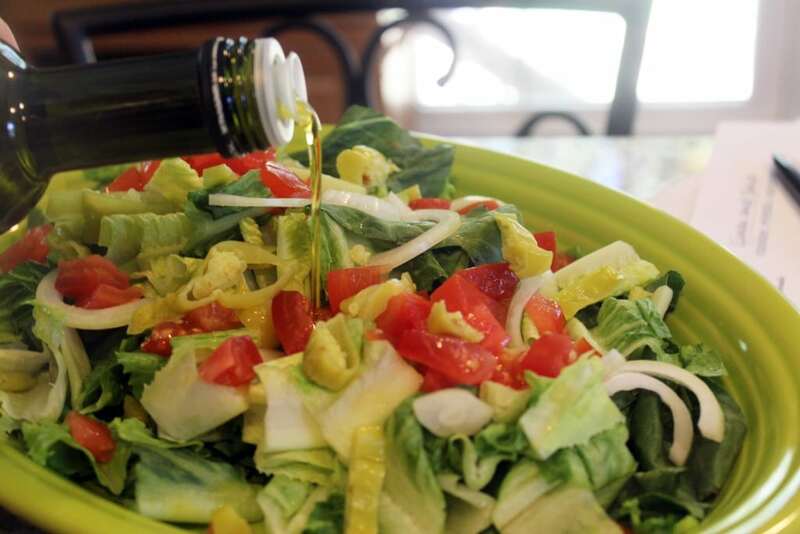 If you like a tangier salad, drizzle on a teaspoon or so of the juice from the peppers. I LOVE doing this. For the non-veggie items, I like really thinly sliced salami, and thick-sliced provolone cut into cubes. You can use any meat and cheese you like, though! 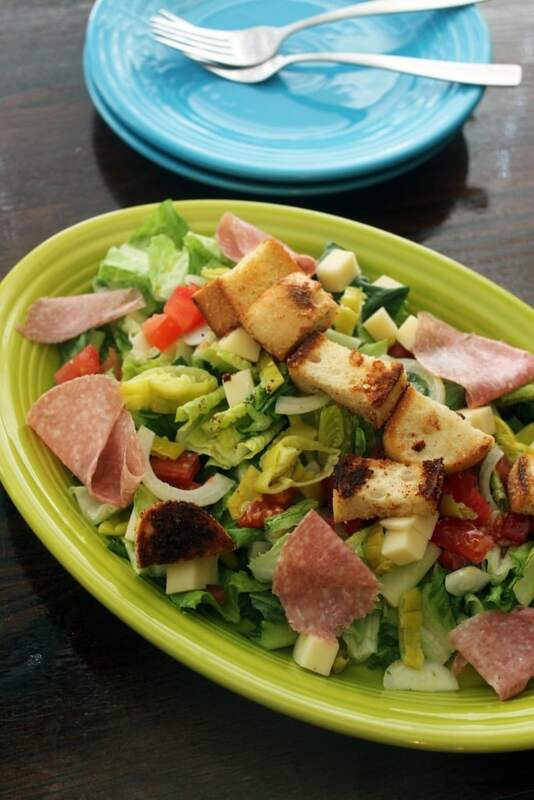 Add the croutons, cheese, and salami to the salad, and we’re done! 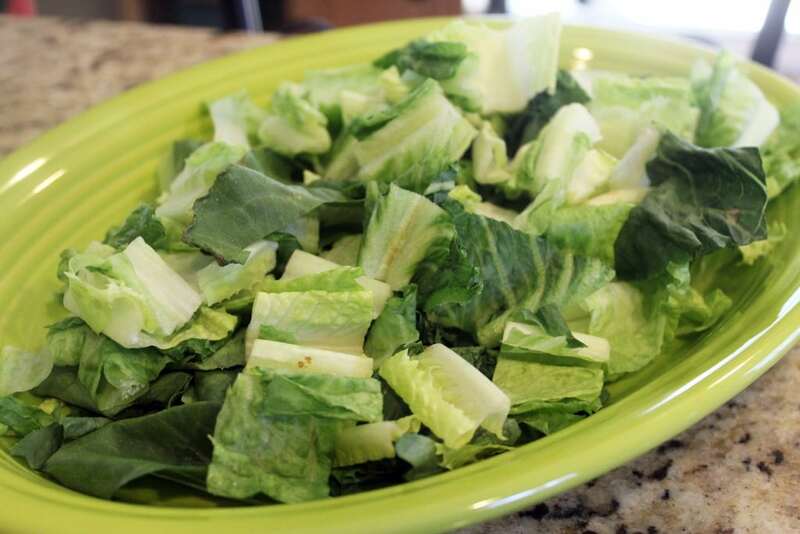 This is a REALLY nice salad, and great for a main-dish salad. 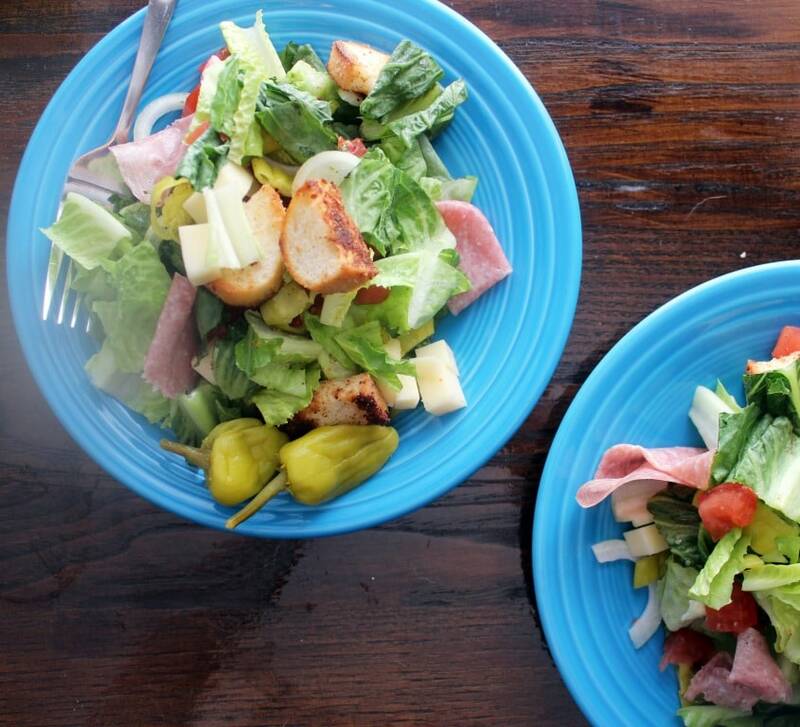 The portions below are for 2 main dish salads, but you can use the same recipe for 4 side salads, or easily double or triple the recipe! 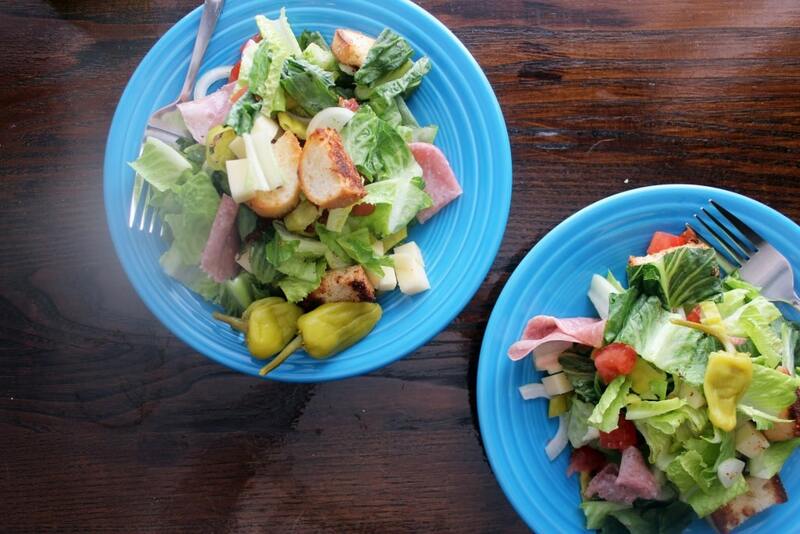 Something about a salad on a Monday just kind of …. fixes the weekend’s sins, doesn’t it? Enjoy this one, and make it slightly different each time you have it. Olives, cucumber, capers, fresh chunks of parmesan…what WOULDN’T be good on this? 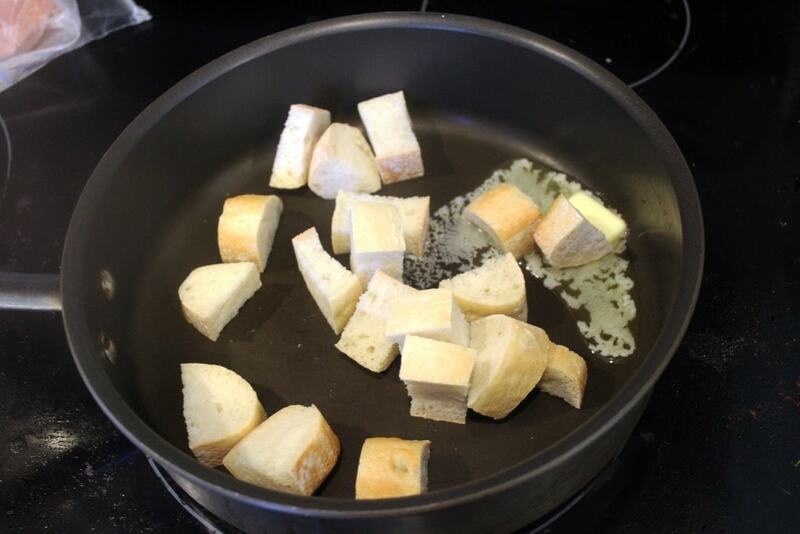 For the croutons, heat a skillet to medium heat with the butter and bread cubes. Swirl to combine, and toast for 5 - 10 minutes, shaking every 2 minutes, until the edges are browned but bread is still slightly chewy inside. Add garlic and parmesan to the pan and increase the heat to medium-high. 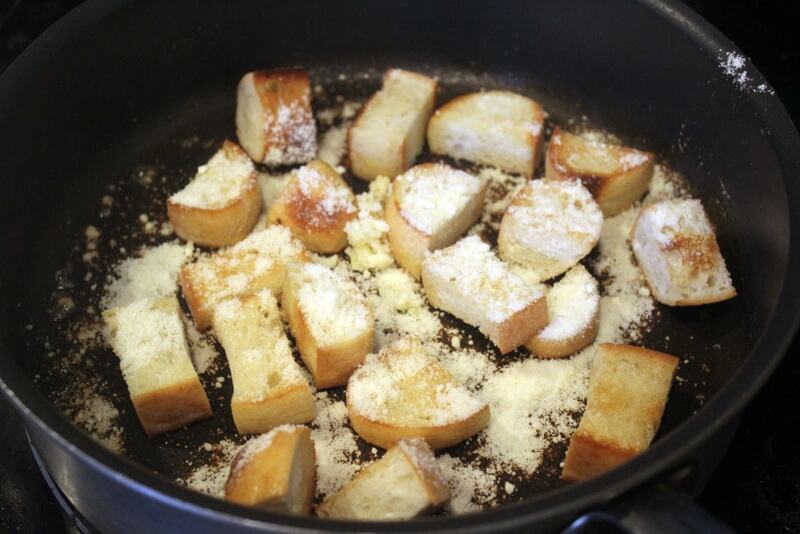 Toss the croutons for 1 minutes more until garlic and cheese stick to bread. 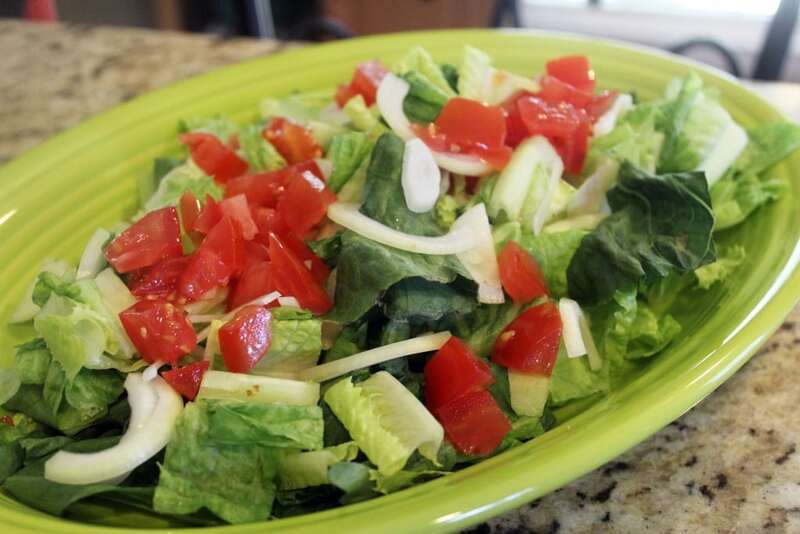 For the salad, layer the lettuce, onion, tomato, and sliced peppers on a platter. Drizzle with the olive oil and pepper juice, and sprinkle with salt and pepper. 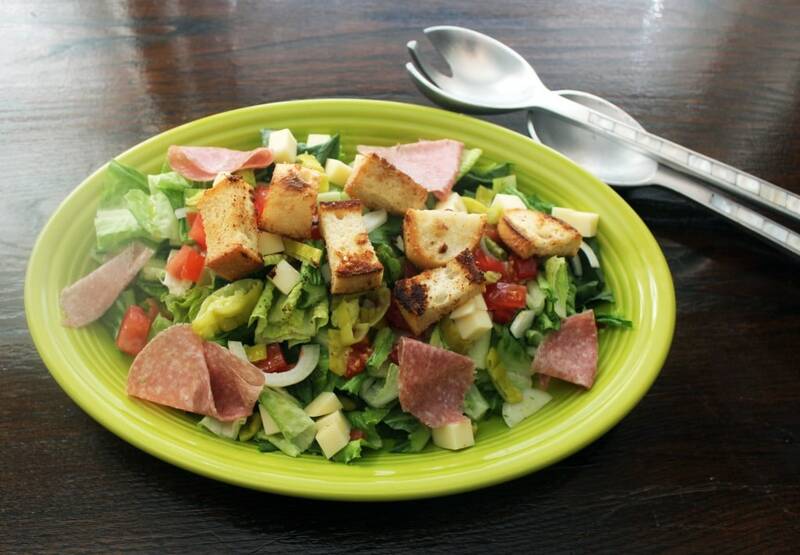 Top the salad with salami, croutons, and provolone. Shared at Weekend Potluck. 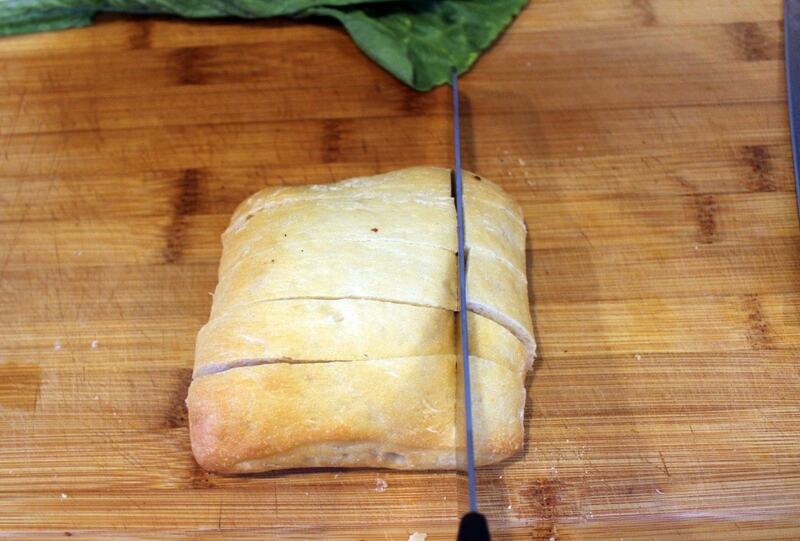 Check out all the other great recipes!